The Network: National Volunteer Week 11-17 May 2015 --- and there's a job on the Yarrowee for you with billy tea and scones to follow. National Volunteer Week 11-17 May 2015 --- and there's a job on the Yarrowee for you with billy tea and scones to follow. More than 6 million Australian volunteers give happiness to others each year. And research says that that those volunteers are happier as a result. So this National Volunteer Week (11-17 May 2015), help us make Australia the happiest place on earth, by giving as much of your time as you can. Give Happy. Live Happy. To celebrate the Leigh Catchment Group will be holding a working bee on the Yarrowee River. We will be doing some maintenance on a planting completed in 2014 and preparing some ground for planting in June 2015. All volunteers will be rewarded with 'High Tea on the Yarrowee' . This will include scones with jam and cream, tea, coffee and bush tea for those who would like to try something different. 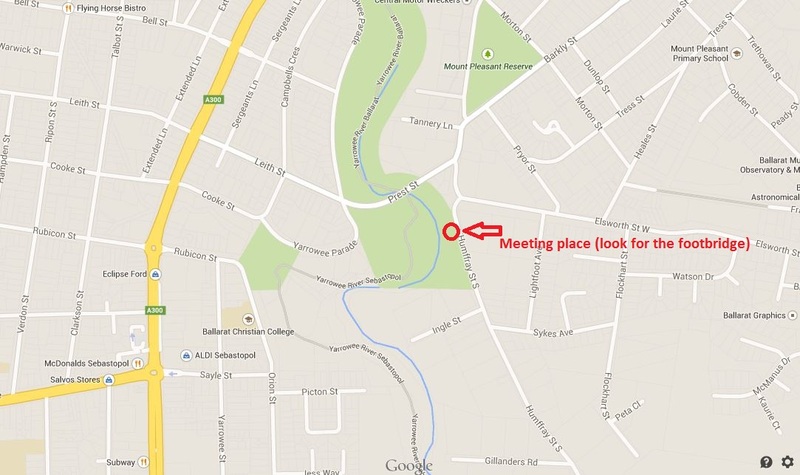 We will meet at the footbridge on Hummfray Street, South, Mt Pleasant (near the Prest Street bridge).